The results are officially here! Click the link below to access the 2017 MWG Wine Competition Results. Our Wine Competition Dinner will be held Saturday January 27th at Zandri’s Stillwood Inn. 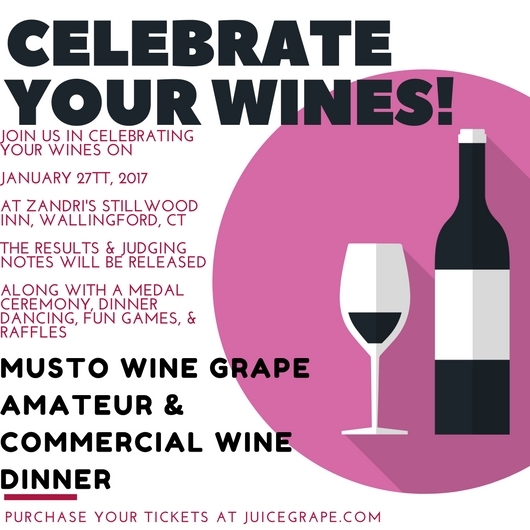 Click here to purchase your tickets. Best in show will be announced at the dinner! How do I make Rose? 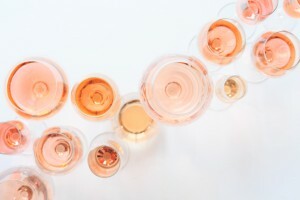 There are a few different approaches to making rose wines. The most traditional way is to crush red grapes, leave the juice in contact with the skins for a limited amount of time, then press off the juice rather quickly (within a few hours) to yield a deep pink colored juice. Once this juice is fermented, it will yield a rose wine. The best grapes to use for this type of production would be any red varietal with a higher acidity. Early picked red grapes or a very fruit forward varietal tend to make the best roses. Some varietals that we have worked with successfully to make beautiful roses are Barbera, Grenache, Gamay, Chambourcin, and Pinot Noir. Another approach would be to take a white wine and to add a small portion of red wine to it, predominantly for body and color. 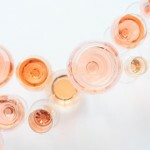 A very small amount of red wine will provide adequate color to change a white wine into a rose color. A small amount of prep work needs to be done before the blend is created. If the red wine was put through malolactic fermentation, the MLF must be complete before the wine is added into the white wine. If the red wine has not completed MLF, it cannot be used to blend as the bacteria will begin to metabolize the malic acid within the white wine. To prevent this, first make sure that the wine has completed MLF, then add Lysozyme to prevent the further proliferation of bacteria. It is always imperative to make sure that the wines have also been adequately sulfited prior to blending as well. It is very important to do bench trials of the blends before the addition of the red wine to ensure the desired results. A small amount (5-10%) of the red wine will add a nice touch of color and body to a white wine, creating a beautifully blended rose.